I just posted the video explanations to all of the math questions in the April 2014 ACT 71H test.The question number 56 and 59 were the most challenging ones in this test. Here is an ACT math practice question on solutions of linear system of equations. an infinite number of solutions? 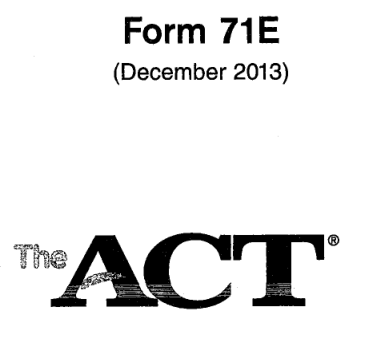 I just posted the video explanations to all of the math questions in the December 2013 ACT 71E test. The question number 57 and 59 were the most challenging ones in this test. The following exponent problem illustrates some of the common mistakes that students make when it comes to simplifying exponent expressions. I have selected this problem based on the types of problems tested on the ACT Math. Please attempt the problem and review the video where I highlight the common temptations in these types of problem.